TechInsights analyses thousands of devices each year, from system level, right through to the silicon. With a historic archive of over 12,000 reports, and hundreds of new reports published each year, the TechInsights has the world’s largest archive of reverse engineering analysis on semiconductor and consumer products. Reports are available for individual purchase, and they are classified by type of analysis, product type, component type, and manufacturer, making it easy to find the information you need. TechInsights has been providing technology analysis for over 30 years, enabling our customers to advance their intellectual property and product strategies. If our library does not currently have the analysis you are looking for, we want to speak with you. 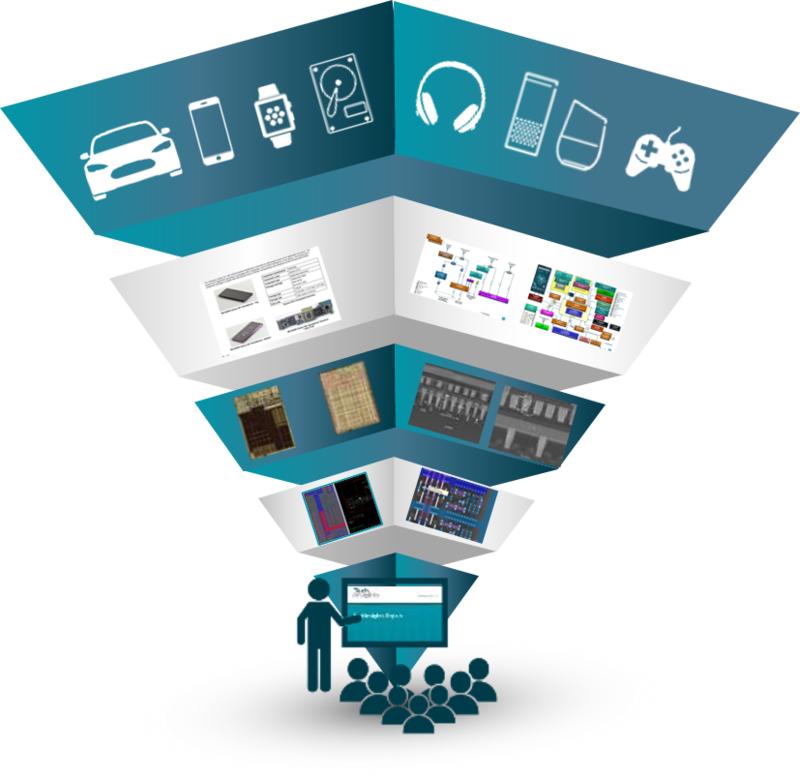 Our custom analysis capabilities span the following markets, devices, and scope.